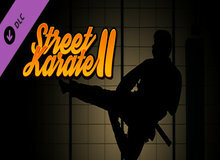 Street Karate 2 was available as a giveaway on December 3, 2018! How would you improve Street Karate 2? 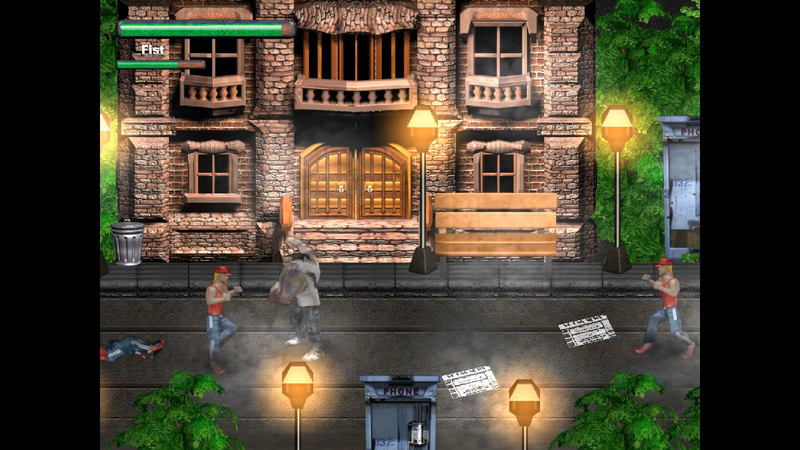 Street Karate 2 is a follow up to Street Karate. Basically more of the same game play with a different character. The graphics are a slight improvement on the first game. I played through the first stage without dying, but didn't like the game play much; basically spamming the keys to fight my way through the oncoming enemy. If you like Beat em ups, and have purchased some of the better ones, this will be a disappointment; however, if you don't have any Beat 'Em Up's, give this a try, you may like it. The key bindings are unchangeable, which is one of the negatives for me as I prefer specific keys for different genres and this does not follow my own preferences. That said, its still playable. The game installs to C:\Program Files (x86)\Street Karate 2, but you can specify your own preference if you wish. If you miss todays game it is available for free via other sites (just Google Street Karate 2 free) or you can buy it via Steam for £0.79/$0.79 HERE. 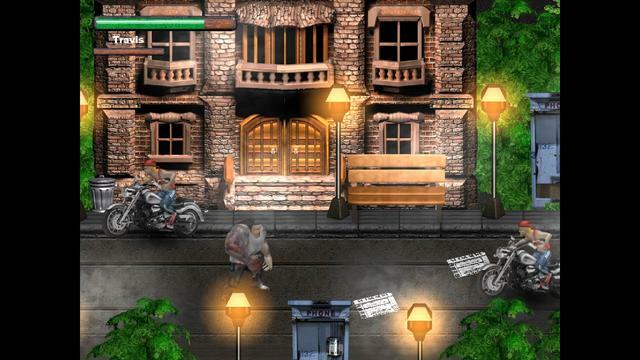 You can see a video of Street Karate 2 game play HERE. what is it??? 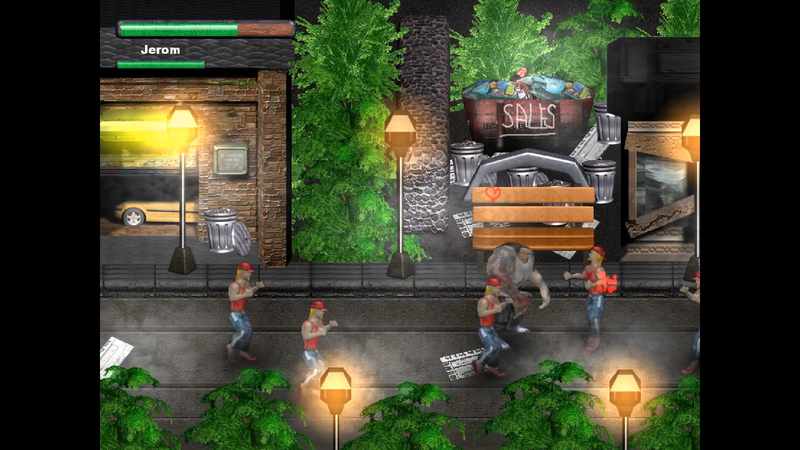 Style like a Final Fight on NES in 1980s, but main hero look like a zombie "Tank" from Left 4 Dead. Totally agree with you. If you added a little pink to the main character it would look like a L4D tank, lol. This is just selling violence. I am sure this company could come up with a game that makes it interesting and makes the brain cells work. And I know I shall have negative replies. I see it as it is. while they waid for the next riot. Tony, have to keep the bottom dwellers busy while they waid for the next riot. Hi Tony, there are games to suit all tastes. Sometimes a mindless game can be quite relaxing (not that today's is). Some of the first person shooters available now such as the latest Battlefield, Call of Duty and the amazing ArmA 3 game (Armed Assault), look almost real. Once VR technology can cope with the resolution of such games, those into FPS games and other genres such as Beat 'em Ups and fantasy games like the Elder Scrolls (another favorite game of mine) will be able to experience something akin to real combat (minus the risk of being shot by real bullets). When you factor in all the new technology such as force feedback, VR and improved resolutions these games will become more and more realistic. I purchased a controller called the Novint Facon about 10 years ago. It had two attachments, one of which was a pistol grip. When you shot the weapon in game, you got a realistic kick back from the pistol. (I've used pistols on firing ranges when I was in the army and was really surprised when I first tried the Novint Falcon). The feedback really felt like the kick back from a 9mm pistol. The other attachment gave you feedback that felt like you were opening doors and drawers for real, or driving a car in a racing game; i.e. you could feel the roughness of the dirt tracks transmitted through the imaginary wheels and chassis while rallying over rough terrain. You can buy chairs with force feedback that give you the feeling of driving over rough ground, or flying in a jet. When I took my kids to Orlando about 10 years ago, we visited a computer games exhibition. 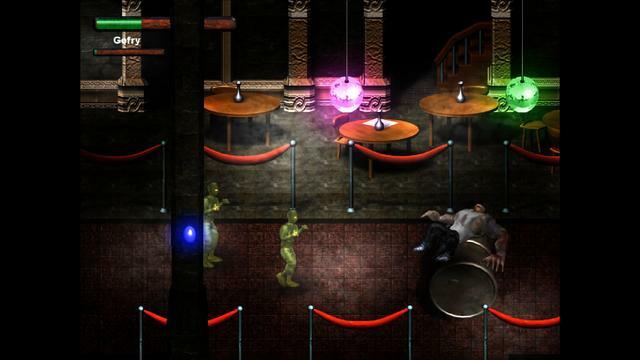 It was based on five floors, Each floor dedicated to different stages of game development. The ground floor covered the first computer games such as Breakout, Asteroids, Star Wars, Pong, Space Invaders and a myriad other DOS based games as well asmore of the early cabinet based games you found in arcades (like the ones already mentioned above); spending a small fortune in dimes and ten pence pieces (depending on what part of the world you live) to feed your obsessions (getting on the high score table, or just progressing to the next level). The next three floors were dedicated to late 80's, 90's and 2K games where I found my favorite computer pinball games (even these could be construed as violent, depending on the theme. The top (fifth) floor covered the latest game developments (at the time) including what was then very basic virtual reality (very pixillated environments due to the hardware of the time). What amazed me was that all four of us (my wife, two kids and I) were able to play in the virtual world together and interact together, give each other instructions and warning each other if we were being attacked from different areas of the game world. We also tried one of those simulators, where you constructed your own roller coaster via a console, using clip together programs, each one representing a different type of roller coaster track such as a right or left bend, a loop or double loop or steep drop etc. 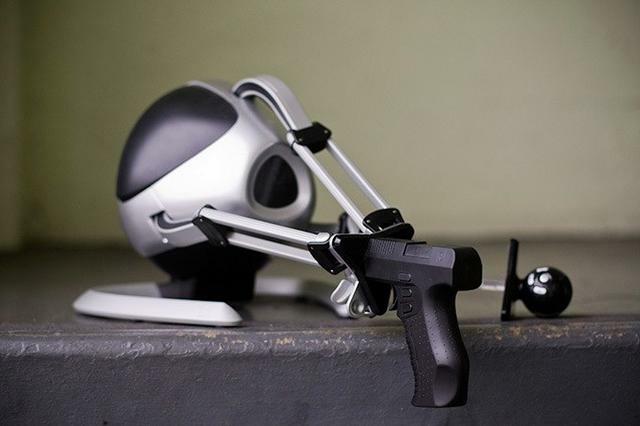 You could control the angles and within several minutes you would have your roller coaster programed into the simulator. You had to be strapped into the simulator, and you had a large screen in front of you. When the simulation started it really felt like you were on a real roller coaster, even down to wind on our faces, being upside down on the loop, being thrown left and right depending on which turn you were on and the adrenaline inducing drop from a simulated massive nose-dive . It was an amazing experience, (though I remember my daughter saying that it had made her feel nauseous) and that was 10 years ago. We also tried a different simulator that made you feel like you were flying over beautiful landscapes, dropping down waterfalls and swooping down mountain sides and skimming the surface of beautiful lakes with your feet dangling from the simulators chair; again with wind on your face and the occasional splash of water. Then there's those aircraft simulators; I'm sure you've all seen those simulators that started to appear at local fairs and other community celebrations over a decade ago; where all you see from the outside is a life-sized cut-off nose section of a 52 seat commercial jet plane. When you're strapped inside, it feels like a real, flying experience, down to taking off and landing. With such technologies (Virtual Reality and Force Feedback, and in the not too distant future, other senses such as smell and proprioceptive stimuli, giving you a sense of chill, warmth, even pleasure and pain (much like that you get from a TENS machine (Transcutaneous Electrical Nerve Stimulation), that sends a small electric current through your muscles, causing them to tense up and relax. 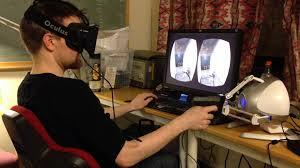 Such tactile stimulation seems to me to be the next step in game development. With the new and future developments, such violent games as today's Street Karate 2 will be much more immersive and realistic. There will always be a market for such games because they give pent-up aggression a release, without hurting anyone. I consider myself a pacifist, and I don't kill any living organism that I can see. I don't eat anything that was previously alive, apart from plant material, fungi (Quorn, mushrooms and Blue Cheese) and bacteria (yogurt etc) and some animal products such as milk and honey; yet I love a good first person shooter like ArmA 2 and 3 as they are true military simulations, with an open world to explore, unlike the run and gun games such as Battlefield and Call of Duty franchises. When I first played ArmA 2 back in 2008/9 playing an escape and evasion mission, I found myself running through a thick forest of trees, using the forest as partial cover from the OpFor (opposing forces). At the time I'd been house bound for around 4 years due to a seriouis accident that had left me with a broken back and head injuries. The experience was exhilrating. It reminded me of a real live escape an evasion exercise I'd taken part in when I was serving in the army over in Germany. We were in the Shwarzwald (Black forest) and I'd become separated from my squad. The feeling of running through a forest via a computer monitor was actually exhilirating and remided me of that time thirty years previously. The excitement that can be generated when playing games like ArmA 3, Left 4 Dead 1 & 2, and other co-op games like Counter Strike: Global Offensive, and the recent limited game giveaway Warhammer: Vermintide 2 with a friendly group of friends is amazing and highly addictive. Personally I don't see how controlling the movement of pixels on a monitor is aggressive; however, It is a good way to release aggression from within you. Which medically is a good thing, not only for those that are aggressive, but those on the wrong end of an aggressive person. 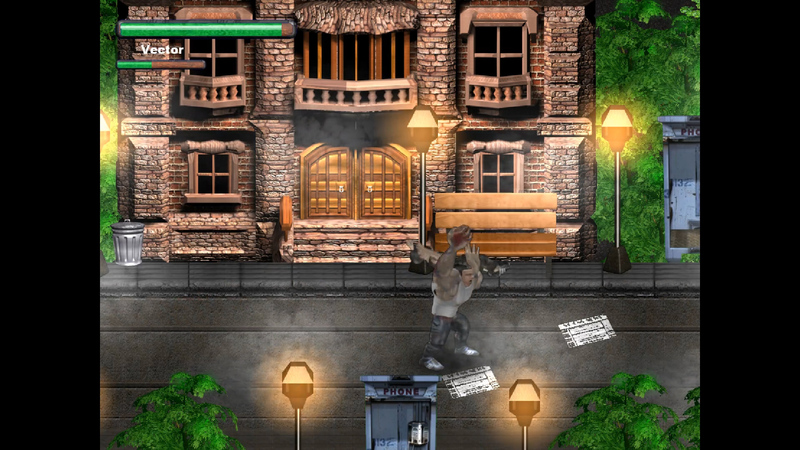 Everyone will have a different perspective on such games as the ones I mention above and today's game giveaway Street Karate 2 and other violent games, from being outright enthusiastic about such games, to opinions such as yours, all of which are a positive statement to that particular sector of the community. I respect all attitudes towards these games as we are all individuals, sculpted from an early age throughout our lives by the lives we lead, the family and friends we surround ourselves with, and the opportunities that are presented to us throughout our lives. I play an FPS game called ArmA 3. The environments look almost real (much better than ArmA two which I mentioned above i.e.running through a forest) and the game play has been designed for real combat training by some armies. I also love playing Real Time Strategy Games where you are in control of over a thousand pieces, placing regiments of bow men, medieval knights, musketeers, samurai, or American cavalry depending on which strategy game I'm playing. 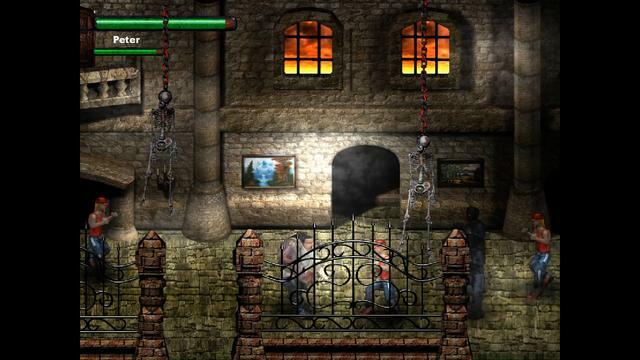 All are at the time of playing exhilarating, and even though they depict violence, as mentioned above, they are just pixels on a screen and not real. Personally I believe such games (FPS, Fantasy RPG's, RTS, Beat 'Em Up's, Space Shooters etc actually help the majority of people, especially testosterone induced male violence to be less aggressive towards the community. I agree. My agreement stems from the fact that after every shooting, you get all these nasty things about the NRA or banning guns which is ridiculous. They don't seem to mind the violent video games, the movies, and the tv. I'm a die-hard Conservative, but on this I agree. Tony, I agree. My agreement stems from the fact that after every shooting, you get all these nasty things about the NRA or banning guns which is ridiculous. They don't seem to mind the violent video games, the movies, and the tv. I'm a die-hard Conservative, but on this I agree.